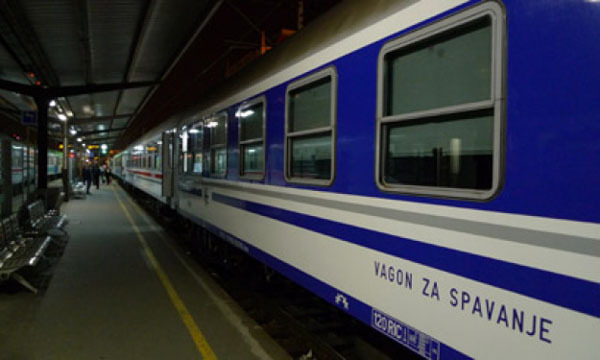 There was some debate on the excellent Expats in Split Facebook page recently about the best way to get from Split to Zagreb – train or bus. I took the train during the day in the summer when I went to Zagreb to interview Johnny Rotten, an undoubted highlight of 2013 (not or him, though, I am sure). I was disappointed. I had this naive notion of a smooth ride through the mountains and plains of inland Croatia, working away on my laptop with a chilled beer. The Internet was intermittent to say the least on my stick, and the constant jerking actions of the train almost caused beer spillage on several occasions. The Zagreb trip loomed large once more last week, this time with wife and two young kids in tow. The day train would beat the bus in terms of entertainment value for sure, but the timing was not the best – with no morning departure until April, it would arrive late at night, a little inconvenient for our hosts. Having settled on the bus as option, we made a spontaneous decision to try the night train over dinner. An adventure for the kids, and also it would avoid the hassle of unpacking, repacking and general preparations in our overnight stop in Split. Price-wise, for a family of four, under 500 kuna seemed more than reasonable. The train was warm and reasonably empty, and there were enough empty compartments of six seats for us to make our choice. Once the wide-eyes children had had their fill of the novelty of train travel (we don’t have a lot of that on Hvar…), it was time to lower the seats and for all to snuggle down for the night. So train or bus to Zagreb? If you have a family at least, look into the night train – it kept our kids thoroughly entertained during the time they were awake. And there is something romantc about train travel at night that you just can’t get on the bus.